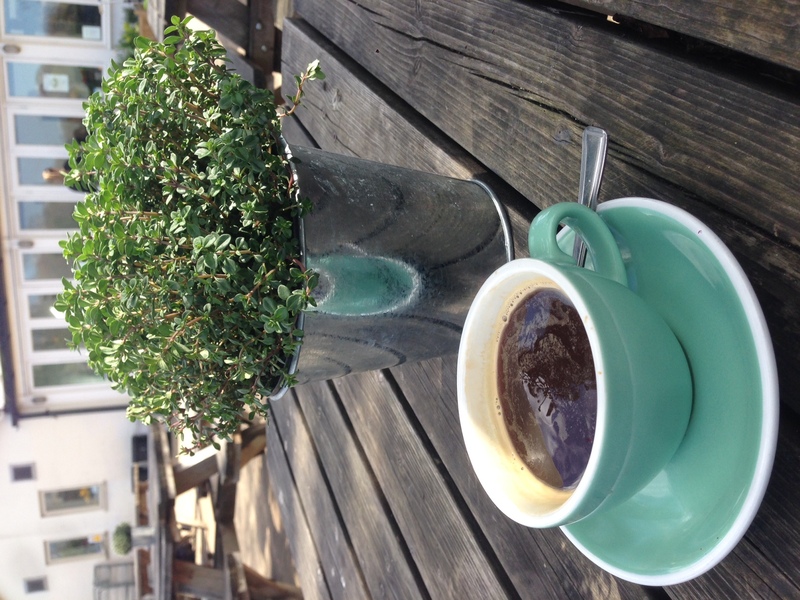 It is late spring in the northern hemisphere and when the weather is fine, what better way to spend it than with a coffee in the middle of Wandsworth Common at the Skylark Cafe? With a number of tables outside and, if the weather turns bad, several more tables inside, Skylark is a lovely place to spend some time while wandering in West London. On the day that we were there, Skylark was frequented by a large number of families however, it was a Saturday afternoon and so it is quite possible that on a week-day it will be a bit quieter. The coffee is roasted by Caravan and they have an interesting array of cakes inside, but it was the plants on the tables outside that caught my attention. Each table had a pot of thyme on it, but the thyme smelled of lemon. Perhaps it was lemon thyme, but something that looks like one thing and smells of another is a nice introduction to this week’s Daily Grind which is all about appearances, reality and perspective. 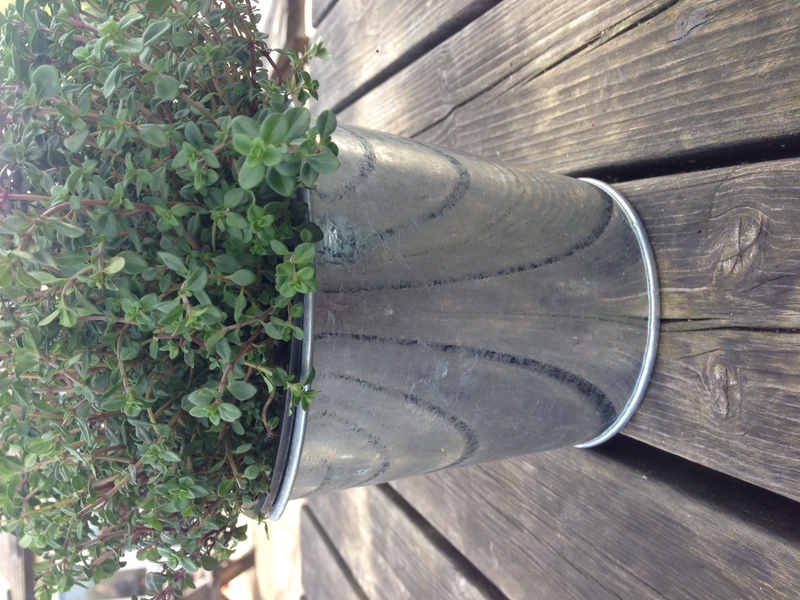 The thyme was growing in a metal flower pot which reflected the wooden table top. From the photo (below, left), it is clear that the pot is cylindrical but if we stop and think about it, how do we actually know that? The image is two dimensional, no third dimension is possible through a computer screen. What clues in the picture tell you that the pot is cylindrical? The bending of the lines of the table top? This is a pattern that we have learned, we have found from experience that something that is circular will bend straight lines in this way. What shape is the flower pot? How we see things and what we think we are seeing was a subject that bothered George Berkeley (1685-1753). How can you know that anything external to yourself is real? Everything you touch, everything you see, hear, taste or smell is, ultimately, a response in your brain to a stimulus. It is not easy to prove that anything ‘outside oneself’ really exists. Indeed, Berkeley argued for the theory that what was ‘real’ was only the sensations in your mind. The theory was famously challenged by Dr Samuel Johnson (1709-1784) who used to drink coffee at the Turks Head in Gerrard St. in what is now Chinatown. Johnson hurt himself by kicking a stone, while saying of Berkeley’s theory: “I refute it thus“. Does Johnson’s sore foot really refute the theory though? How can we avoid Berkeley and find our world again? Writing about science at the turn of the twentieth century, Pierre Duhem (1861-1916) argued that “All the time we view scientific theory as an attempt at an explanation, we will be limited in what we consider an acceptable explanation by our metaphysical beliefs. Only by accepting that theory is in fact a description, a cataloguing, do we free ourselves from all but the primary metaphysical belief that the world exists“. In other words, in order to ‘do’ science we have to rely on (at least) two beliefs a) that the world outside exists, b) it is consistent, that is, governed by laws that are knowable. Neither of these premises can be ‘scientifically’ proven, instead they lie at the base of our belief system, even if we do tend to take them for granted. It is far easier after all to live in the world, if we assume that it exists. None of this should stop us doing science. Whatever we are investigating with our experimental (or theoretical) tools it is beautiful and the more that we understand the mathematics that describe the world, the more beautiful the world outside becomes. I cannot prove, scientifically, that the world outside exists, I could possibly argue that it does based on philosophical ideas but I will never be able to prove it. I understand that the pot on the table at Skylark is a three dimensional cylinder because of the way that the light is bent on reflection and from my, admittedly intuitive, understanding of perspective. Perhaps we also need some perspective in appreciating what we can, and cannot, prove with science. 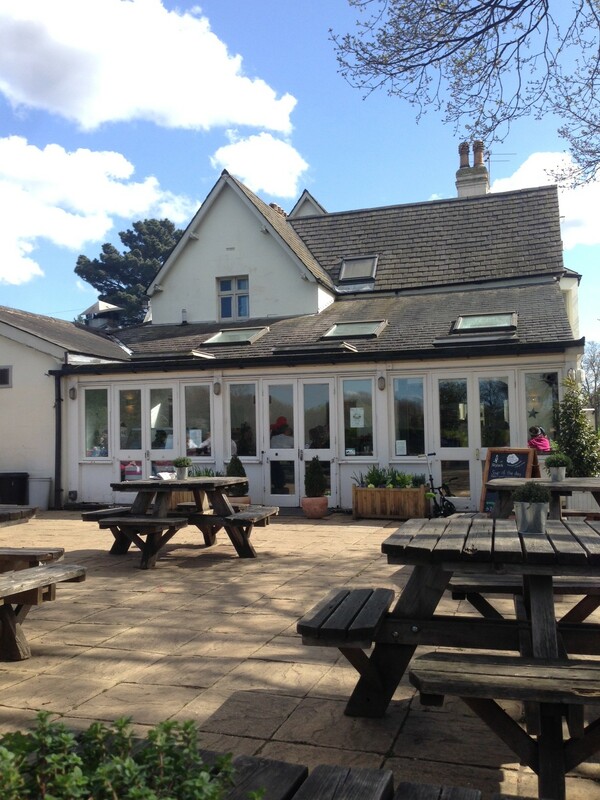 Skylark Cafe is on Wandsworth Common. Quote taken from “The Aim and Structure of Physical Theory”, Pierre Duhem, 1910.